The next step after publishing quality content on a blog is the content promotion. Even an interesting article means nothing if there is no traffic on your blog. 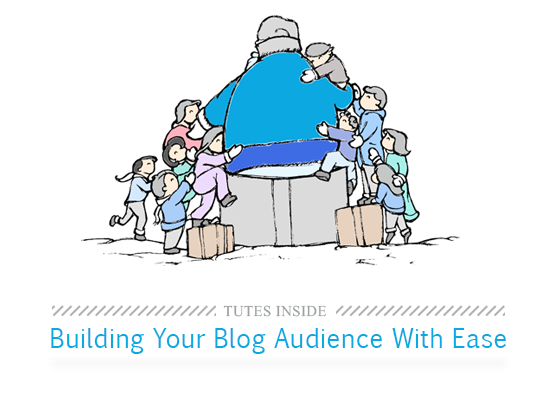 This article will help you to understand the tactics that you can use to build the audience on your blog easily. According to this New York Times article, about 95% of bloggers give up in the first year of blogging. Why? If you are reading this article then I guess you are not among the quitters and this is why I'm gonna reward you with traffic building tips. "Blogging is a mixture of art and science. Art is creating interesting content and science is the content promotion. A person must be good in both to become a successful blogger." To increase traffic, you should first consider all the possible sources. Fortunately, I'm listing all the major traffic sources that every blogger should consider first. Not every traffic source mentioned here will be helpful to you as it depends more on the blog niche. What you need to do is experiment with all the traffic sources and target the one which redirects the most of your traffic. For some, it can be Youtube and for others, it can be Social Media. Being the best source of traffic Google is on the top of this list. The success of a blog depends on how well a blog is performing in Google search results. While it takes some time to get traffic from search results it's always recommended to target Google first. Targeting Google is not that easy as there will be many more sites with the same content as you have. This is why you should have knowledge of SEO (Search Engine Optimization) as it's the only way you can gain traffic from Google. If you ask me then I'll say social media is the easiest way to get traffic. But it is not that simple as it sounds. You can have way more traffic than you think if you target it well. Make sure that your post gets seen by sharing it on major social media sites just after publishing it on your blog. We will talk more about it in next chapter. We all know that returning visitors are the best visitors. Email marketing is the best way to remind people about your blog. In email marketing, you request your first-time visitors to subscribe to your blog or you force them to subscribe by offering something so that you can invite them again whenever you publish a new post on your blog. All you need is a fancy subscribe box or a pop-up subscribe box. If you have something to offer in return of email then pop-up subscribe box is for you. Most of you have heard about guest posting already but do you know the main reason behind guest posting? It has many advantages including blog promotion, link building, and brand awareness. Guest posting is the best strategy to get backlinks to your blog. Not only it helps to get direct traffic but also it greatly affects the SEO of your blog. You should never stop your blog promotion. Site comments is another way of blog promotion. In this method, you leave informational comments on other sites or blogs related to your niche. If you are blogging for quite some time, you must have noticed some people leaving a comment on your post with a link back to their blog. They are doing nothing but the promotion of their blog. This method is helpful for some bloggers only. In forum participation, you join as many forums as you can and provide help to other users. You leave a link to your blog in most of your answers with an intention to grow traffic on your blog. The only thing you need to remember- your answers should be informational and up to the question. You read it right, YouTube can be a good source of traffic too. Apart from having traffic from this source, you can also earn a pretty good amount of money from your videos. Just upload a video whenever you have time and forget. You can also embed your videos in your posts so that you can increase your views which will increase your earnings through YouTube. If you follow all these methods then your traffic will double within a month or less. It might take more time if your blog needs improvement. Have you ever tried increasing traffic on your blog? If yes and you succeed, then share your experience with us in comments, it might help other bloggers.